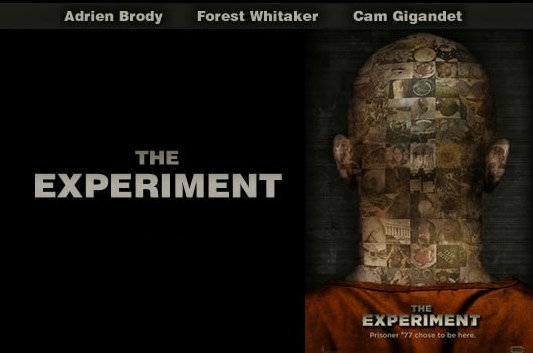 The movie The Experiment: trailer, clips, photos, soundtrack, news and much more! The Experiment movie is directed by Paul Scheuring. What a shame that they’re not releasing the Experiment in theaters! Come on, why are they releasing the film directly to DVD? 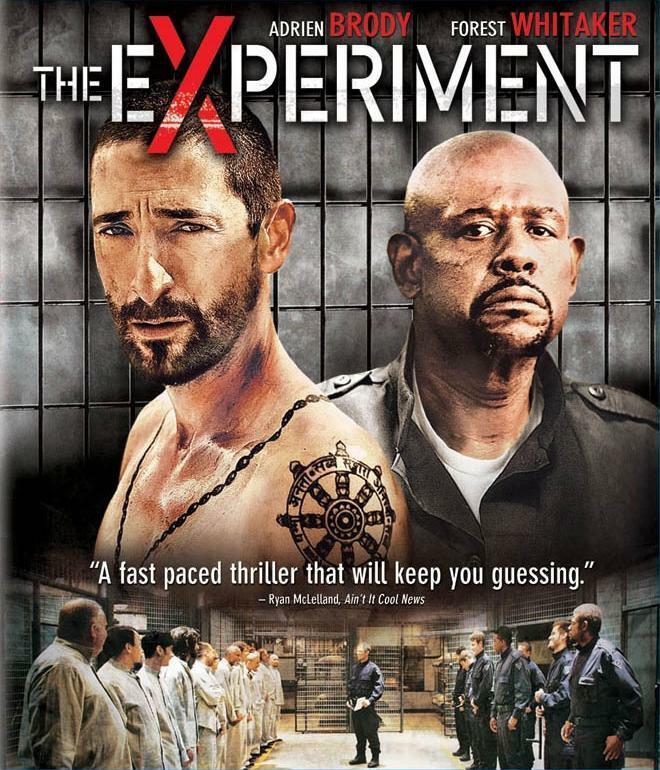 The plot sounds interesting, the cast is talented and judging from this movie trailer of the Experiment, the whole thing seems like a great film… Anyway, I guess I’ll order that DVD of the Experiment then… It will be released on September 21, 2010. The film was inspired by the infamous Stanford experiment, a study of the psychological effects of becoming a prisoner or prison guard. The Experiment is an upcoming psychological thriller movie about a group of 26 men who are chosen to participate in the roles of guards and prisoners in a psychological study that ultimately spirals out of control. Directed by Paul Scheuring, the film is starring Adrien Brody, Forest Whitaker, Travis Fimmel, Cam Gigandet, Clifton Collins Jr., and Maggie Grace. It should be released sometime in 2010. The film is starring Adrien Brody, Forest Whitaker, Travis Fimmel, Cam Gigandet, Clifton Collins Jr., and Maggie Grace. 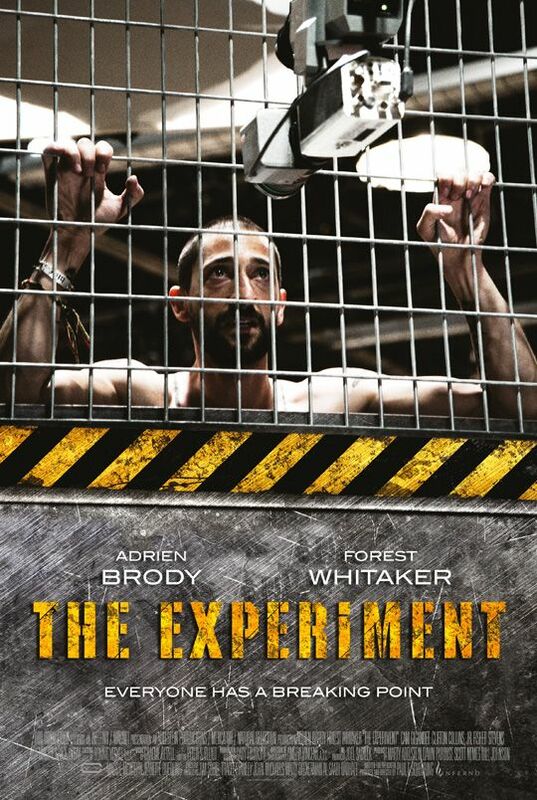 The Experiment is an upcoming psychological thriller movie directed by Paul Scheuring and starring Adrien Brody, Forest Whitaker, Travis Fimmel, Cam Gigandet, Clifton Collins Jr., and Maggie Grace. It’s a remake of the German movie ‘Das Experiment’. Columbia Pictures will release the Experiment movie sometime in 2010. Forest Whitaker is a versatile actor, I can definitely imagine Adrien Brody in such a film, and Cam Gigandet did prove that he can play a freak in Pandorum, so the Experiment should be a remake worth watching!